JB Bernstein seemed to have it all. One of the top sports agents in the US, he worked hard and enjoyed the bachelor lifestyle to the full. But he hankered for more, and when he set himself a challenge - to unearth someone in India capable of becoming a pro baseball pitcher - most people thought he was mad and doomed to face a costly and public failure. The reality show Million Dollar Armbrought thousands of contestants hoping for a shot at glory, but eventually they unearthed two candidates: Rinku and Dinesh. Bernstein brought them back to the US, put them up in his home and helped them to get used to a very different world, while they also worked hard to learn the game that was second nature to most American sportsmen. Finally, they got their chance and - against all the odds - they were both awarded pro contracts. This heartwarming story has now been made into a film starring Jon Hamm (Mad Men) and Suraj Sharma (The Life of Pi). A true-life version of Slumdog Millionairemeets Jerry Maguire, Million Dollar Armshows what can happen when you dream big. J.B. Bernstein is one of the leading sports agents in the USA, having worked with stars such as Barry Bonds, Barry Sanders and Emmitt Smith. 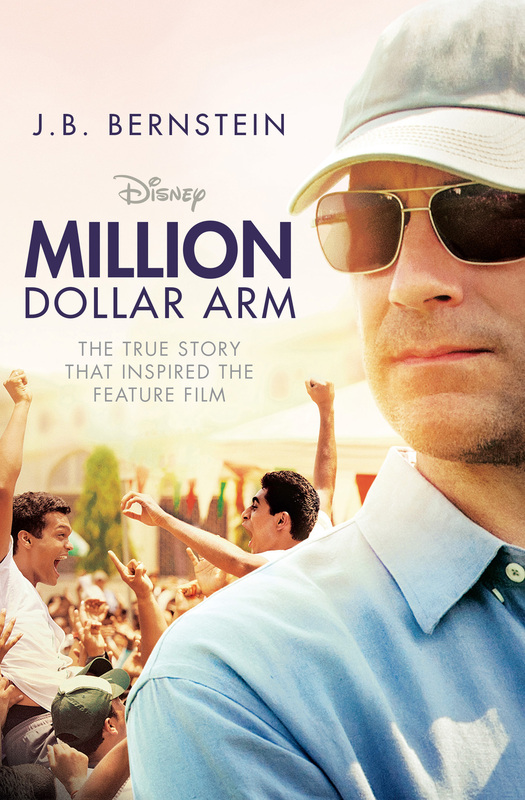 He devised the idea for the reality show The Million Dollar Arm. That story is soon to become a major Hollywood film, with Jon Hamm playing JB. He lives in the USA, and is married with one daughter.